Gold Soft Metal is part of the TouchMatte and Soft Metal family. It’s also the newest addition to our Mirra Products range of metallised and holographic films. Just like Soft Metal, Gold Soft Metal or GSM as we like to call it, exudes sophistication and luxury. Like a nice red wine, the full body nature of GSM offers the upmost appeal to the most discerning palates. 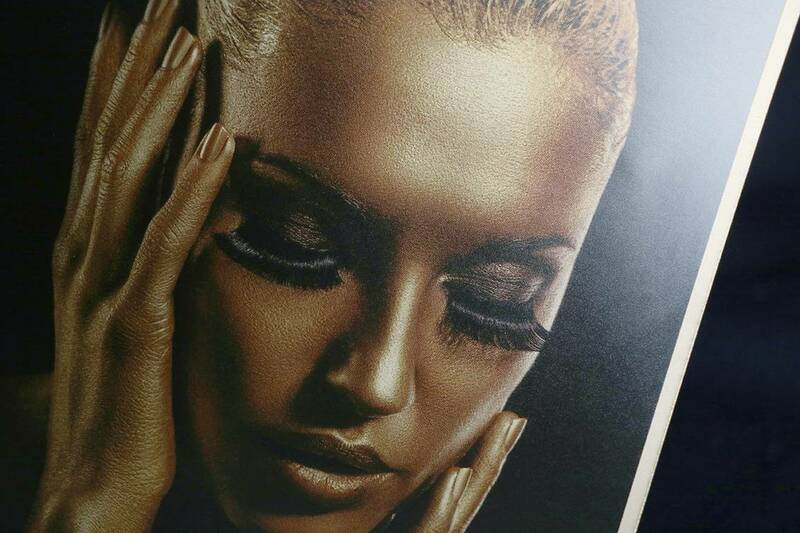 The unique nature of the matte gold surface combined with either offset or digital printing provides an unmatched elegance. The crafty inclusion of SpotKote Gloss, Embossing and Foil can truly enrich the star qualities of GSM. Gold Soft Metal is perfect for book/magazine covers, premium cosmetic & pharmaceutical packaging, invitations, direct mail, posters and business cards. Feel free to contact your nearest Allkotes for a sample of GSM. Our team is standing by. The quality of the paper or board you select can have an impact on the finish of Gold Soft Metal. Feel free to discuss your paper and or board requirements with your Allkotes team. 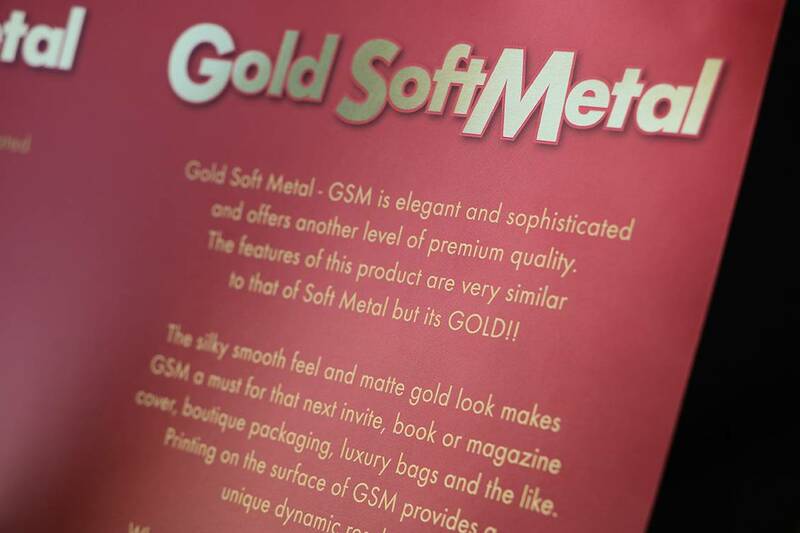 Gold Soft Metal is opaque so all printing requirements will take place over the surface of GSM. Its a good idea to discuss your plans with Allkotes as printing 2 sided is achievable with proper planning design. The use of other products such as SpotKote, FoilKote, UltraKote and Embossing are also clever additions to GSM. Beware of finger marking. Naturally being a matte surface, we strongly advise that gloves are considered an option should multiple handling be required. Lighter weight coated stocks can present static issues at the printing process. We recommend 170gsm or higher. Feel free to discuss with Allkotes should you require further assistance. 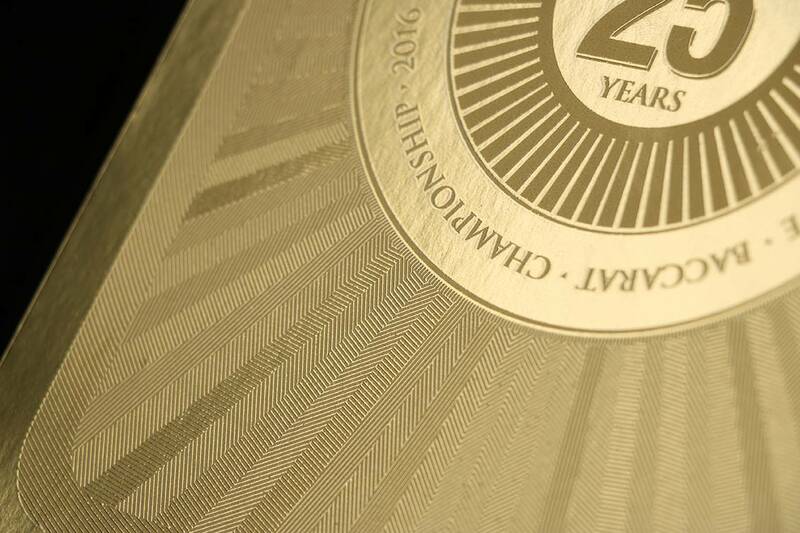 The use of standard offset inks will not dry when printing on top of Gold Soft Metal. Not all digital equipment has the capability of printing of GSM. Don’t proceed with any testing of GSM unless you have first discussed this with your digital equipment supplier.